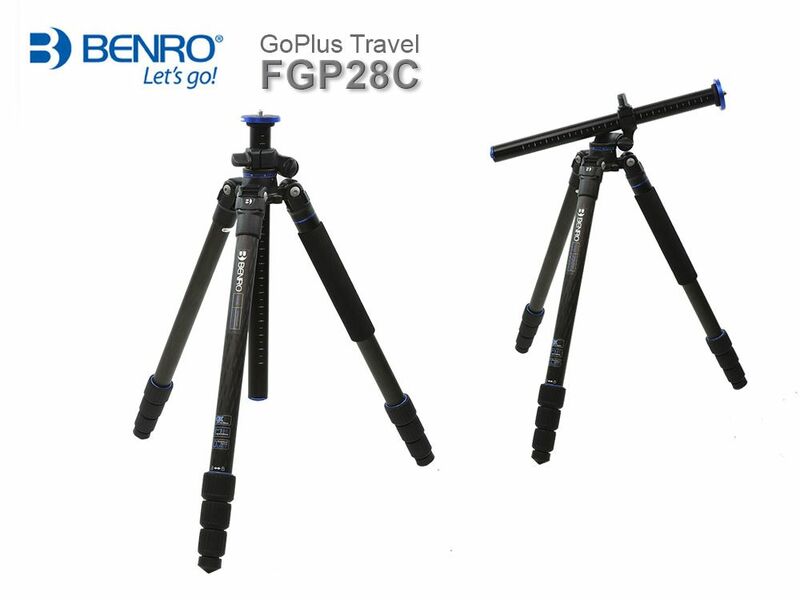 The Benro GoPlus FGP28C offers a multi functional design and a good height with a weight still suitable for travelling. 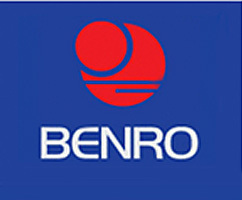 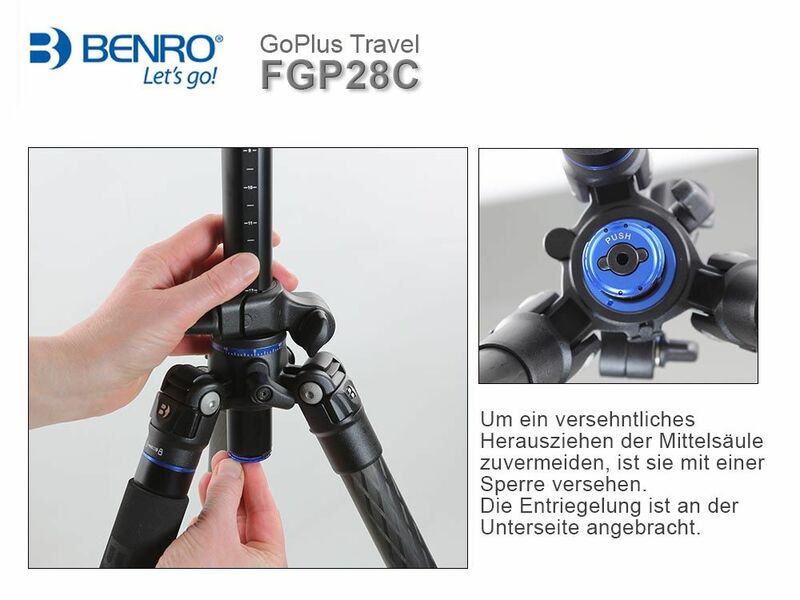 The most special feature of the Benro GoPlus FGP28C certainly is the inclinable centre column that can be switched to a horizontal position in next to no time. It can even be turned completely upside down, so a set up near floor can be obtained without moving the whole tripod. 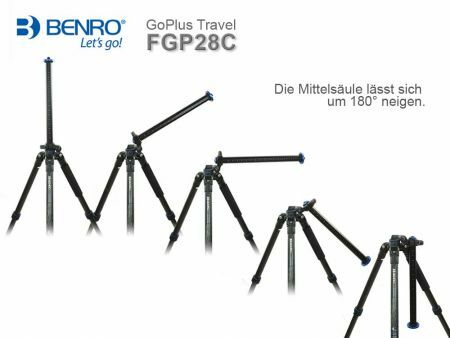 The legs can be flipped over 180° which enables a short packing size in relation to the max. height of 165 cm and four leg sections. 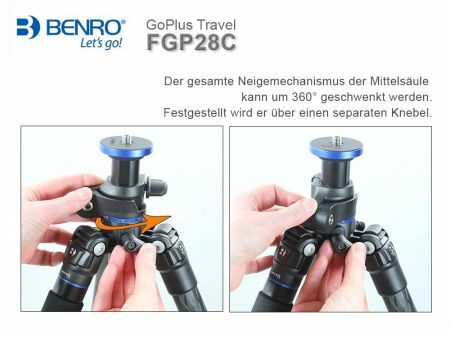 Another bonus feature of the Benro GoPlus FGP28C is the possibility to unscrew one leg and convert it - in combination with the centre column - to a monopod. 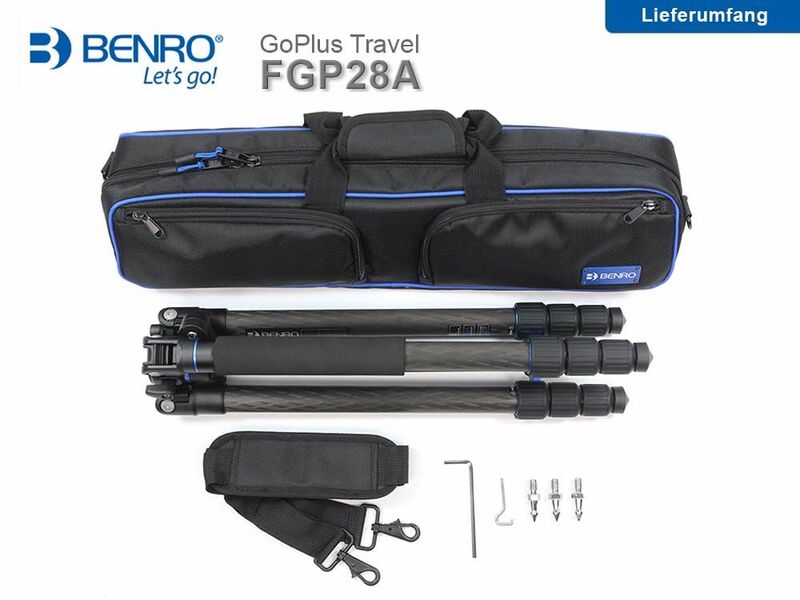 Nevertheless the weight remains with 1.620 kg comfortably light and very suitable for travelling. 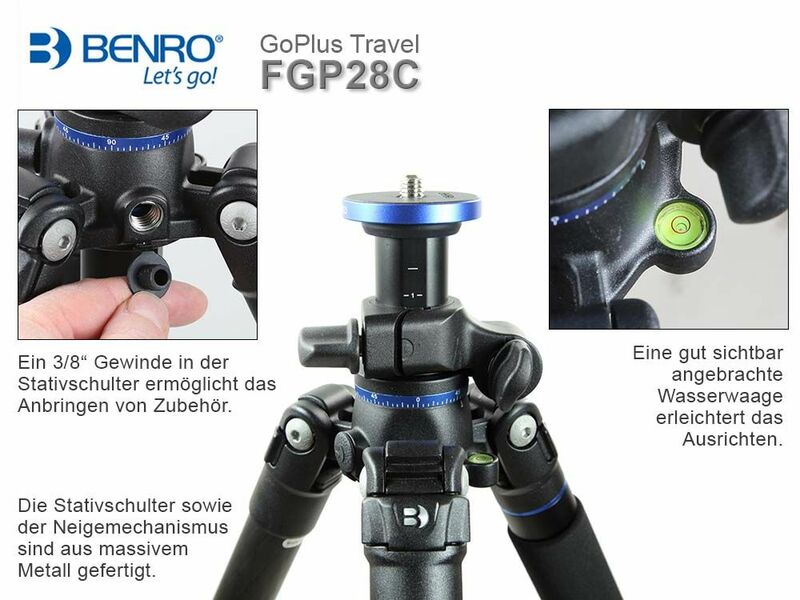 The aluminium version of the tripod is the Benro GoPlus FGP28A. If you are looking for a smaller and lighter tripod with the same features, the Benro GoPlus FGP18C could be the right choice.